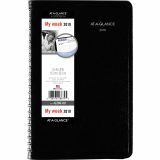 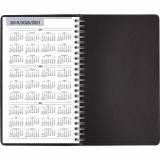 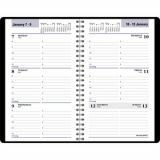 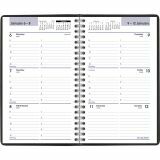 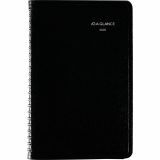 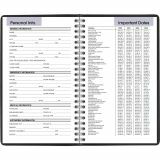 AT-A-GLANCE DayMinder Block Format Weekly Appointment Book, 4 7/8 x 8, Black, 2019 - Wirebound weekly appointment book features a two-page-per-week spreads and ranges 12 months from January to December. 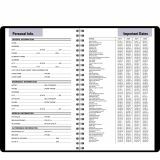 Each spread includes lined daily entries, hourly appointment times from 8 AM to 5 PM, and past, current and two future months reference. 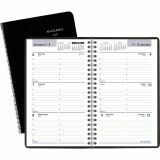 Printed on quality recycled paper with 30 percent post-consumer material.